Some of the typical complaints I have come across as to why people are not into gardening include the cost of fertilizer among other things. However, this is not a genuine one as there are easy and cost-friendly techniques of making your own. Composting toilets may be among the most significant innovations especially if you are a gardener. These environmental friendly toilets save you a considerable amount of water since they require very little or no water. But of critical importance is the end product. Composting toilets will transform human waste to harmless fertilizer that you can use in garden thus saving you on the cost of inputs. The many benefits of a composting toilet should convince you to run to the stores and acquire one. 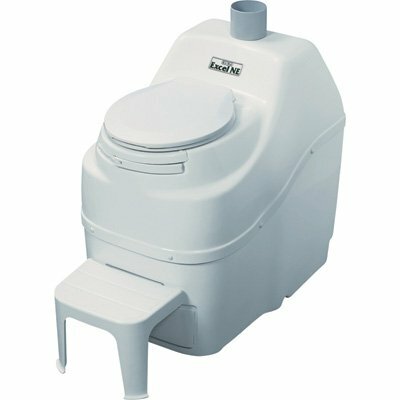 And to help you, we have included a review of the best composting toilets on the market at the moment. 1 What are Composting Toilets and why Use them? What are Composting Toilets and why Use them? 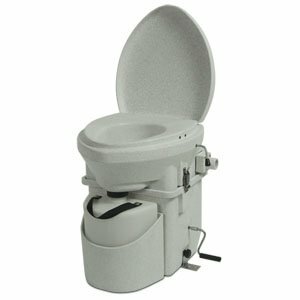 Composting toilets require very minimal or no water at all to flush. But where does the waste go? The waste from these toilets is mixed with sawdust or peat moss supporting the aerobic action turning it into a good fertilizer. Thinking of going camping on a boat or RV? Then this is a great option that will save you the trouble of searching for gas stations for call of nature stops. Composting toilets work similarly to garden composters. Mainly, the human waste decomposes before it can transform. During the decomposition process, the water content and the unpleasant odor are removed. However, the condition in which the waste is in must be right for efficient decomposition. Composting toilets provide the right environment for faster decomposition and the transformation of the waste into a safe end product. The most significant concern for anyone as it relates to composting toilets is the odor. However, when the toilets are installed correctly, then the end product is 100% odorless. The seals and sophisticated airflows that high-end models employ make sure that no odor gets to you. The most common type that you will find in the market is a slow composting toilet. They are low maintenance and do not need a lot of monitoring thus making them suitable for most homes and travelers. The slow composting toilets take longer since they lack the necessary environment for a faster process. Mostly, it could take up to several months for the dangerous microorganisms to be removed. Unfortunately for the notorious roundworms, it would take several years. Therefore, it is always advisable to use the final product from the composting toilets on non-edible plants. Regardless, the slow composting toilets provide a safer and convenient way of getting rid of waste. The second category is active composters, and they have a further two subcategories. The first subcategory is self-contained toilets which means that the composting process takes the same toilet. To speed up the biological processes, these autonomous versions have heating and exhaust systems installed. Users typically add sawdust to enhance moisture absorption and remove the smell. The second subcategory is the remote composting systems. Remote means that the composting bin is not there with the toilet but instead, somewhere different. The container can be buried underneath and located anywhere in the garden for easy access. For these toilets, there is a need for transportation of the waste to a location where it decomposes. They are sometimes installed with a vacuum or water flush system to move the waste. The remote types are suitable for homes that have more than three members because of the bigger storage capacity for the waste. However, this subcategory requires a lot more monitoring than the others. So why should you go for a composting toilet? For one, they don’t require flushing, and thus water consumption in your household reduces significantly. 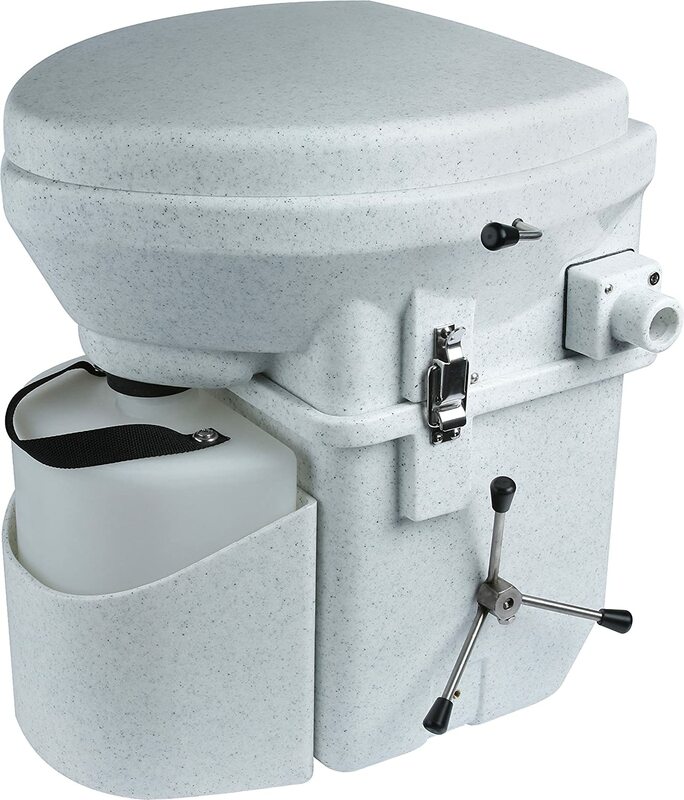 Composting toilets are also suitable in remote places where there are no plumbing systems. The power consumption where they are involved is also low. The self-contained types eliminate the need for transportation from the disposal to the treatment further reducing the costs that would go to management. By using the final product on non-edible plants helps add organic waste to the environment and that can only be a good thing. You can also add the kitchen waste into these toilets if you don’t have a composting bin. Another good reason to use composting toilets is that they are greener. They do not require treatment in plants thus reducing the carbon footprint involved in managing waste. Furthermore, composting toilets save a significant amount of water resources that go into waste in conventional flushing toilets. As a result, water can then be allocated to other important places usually affected by scarcity. Like any other products in the market, composting toilets have their own disadvantages that include the need for more maintenance from the user and the owner, unlike the traditional toilets. Poor maintenance and wrong handling of the waste can prove such an unpleasant task. 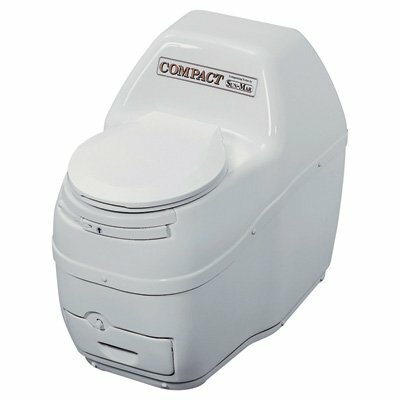 This toilet is self-contained and very compact making a good option for those that are on the road. You would think that being small makes this product uncomfortable, but nothing could be further from the truth. Nature’s head has a pretty comfortable seat that possibly takes the strain away from sitting. The toilet does not require any water, and so it saves you a significant amount of water that would have otherwise gone to waste. It also comes with a urine separator which reduces the amount of moisture in the waste helping in the composting process. However, this also means that you will need to keep emptying the container after a few days. The toilet may take up to 80 uses to empty. Nature’s head has made a name for themselves when it comes to composting toilets, and this is another top rated product in this review from them. For a start, this composting toilet is quite user-friendly and would not spend a significant amount of time trying to figure out how to use it. Installation is also easy as there are few parts that owners need to handle. The composting process involves the removal of water from the waste, and this model comes with a urine separator to make this process easy. The robust construction and stainless steel hardware makes handling and cleaning easy. Self-contained composting toilets are a great choice for anyone looking to go green and have a positive impact on the environment. This product form Sun-Mar Excel uses no water, no electricity and converts human waste to organic fertilizer you can use on non-edible plants. The toilet comes with a bio-drum system making conversion pretty easy. It has a venting kit that removes the repelling smell and aids in the composting process. The only noticeable drawback with this unit is the construction of the step-up stool – metal one would have been nice. This model is only ideal for up to three people in a home setting, and this is a limiting factor. This compact design toilet uses electricity to operate. However, it does not need any water, and it is non-polluting. You will also find a recessed handle for the bio-drum that makes compost processing quite easy. It will quickly turn human waste into fertilizer you can use on your garden. It is also self-contained and easy to use. For anyone looking for an aesthetic appeal, this toilet is the real deal on that front. Unfortunately, the unit is only ideal for one person in a home setting. It does not have a footrest like the other non-electric composting toilet from Sun-Mar. Composting toilets are greener and pocket-friendly options for everyone but more so for gardeners. They save a considerable amount of water and reduce the carbon footprint involved in waste processing. The resulting end product from these toilets can be used on non-edible plants as a fertilizer. All the products from Nature’s Head would make a great choice, but the Composting Toilet with Spider Handle is the clear winner in this review. As a matter of fact, the toilet may have all the features that make a composting toilet effective. In other words, it is self-contained, compact, easy to carry and waterless. What more could you be looking for?